Today we are honored to listen to Julie Johansen who placed first in the 8th Venus Index Transformation Contest. Julie has amazing dedication. After years of stress and traumatizing health issues she decided enough was enough and lost 100 pounds; 39 of that in the 12 week contest. 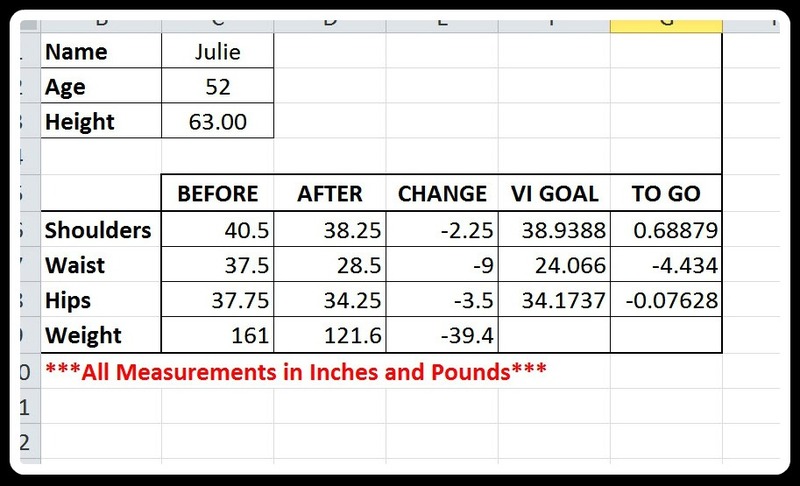 Julie’s 12 week contest metrics. Julie took ownership of her weight, ditched the chocolate pity parties, and took action to gain her health and her body back. Though not heavy as a youth, upon reaching adulthood my weight started creeping up to where I found myself as much as 100 pounds overweight. Twice I successfully lost large amounts of weight, but, unknowingly, my calories were still too high. So it involved increasingly more and more hours of my day spent in exercising in order to continue to see any pounds coming off. I felt guilty and narcissistic for spending so much time on myself instead of my family and work, and would eventually give up, putting the weight back on and more. Finding Venus solved this problem for me. It was a huge eye opener to learn that calorie control is the real key to fat loss and the workouts are to give me the hourglass shape that I had previously assumed were only for the genetically blessed. Since I got the habit of working out down pat early on, I focused more attention on strictly keeping to the weekly calorie budget. While I’m still a work in progress, I love that the exercises target the areas that make women look good! For mental motivation I turned to the online community for encouragement and answers to questions. I learned that perfection is not possible for me and that when I feel that I have “blown it,” then I simply STOP, do damage control and tell myself that I am not a failure, just a “delayed success” and promptly get right back on track, with fewer and fewer setbacks as time goes on. With consistent effort, my progress is assured now that I’m experiencing how to effectively manage my three big “M’s”: my mouth, my muscles and my mind. I feel so appreciative that Venus has given me the truth and the tools to make these changes permanent! 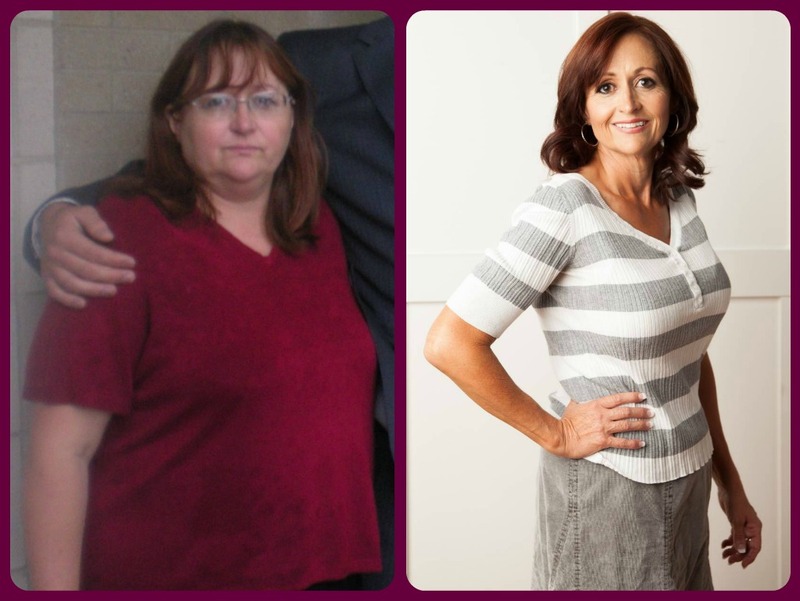 With the Venus system Julie learned she could enjoy her life and her family while still achieving her fitness goals.